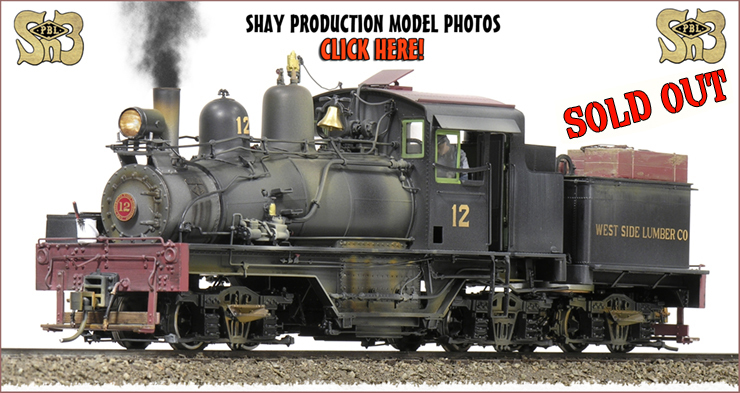 This page featues a sampling of some of the Locomotive Models and New Scale Model Kits we brought into existance over the past several years... Great models we've produced / released in "The Ideal Scale, "Sn3" in recent times. Included among these are links to see our recently arrived 3-Truck Class 60-3 Shays of the West Side, the Swayne, and the New Mexico Lumber Companies and their siblings... And the most amazing run of D&RGW, R.G.S. and and Espee Passenger Cars, with completed interiors and lighting! Also to be found here are photos of our "Hybrid K-27's"... Ya' gotta see 'em to believe 'em! 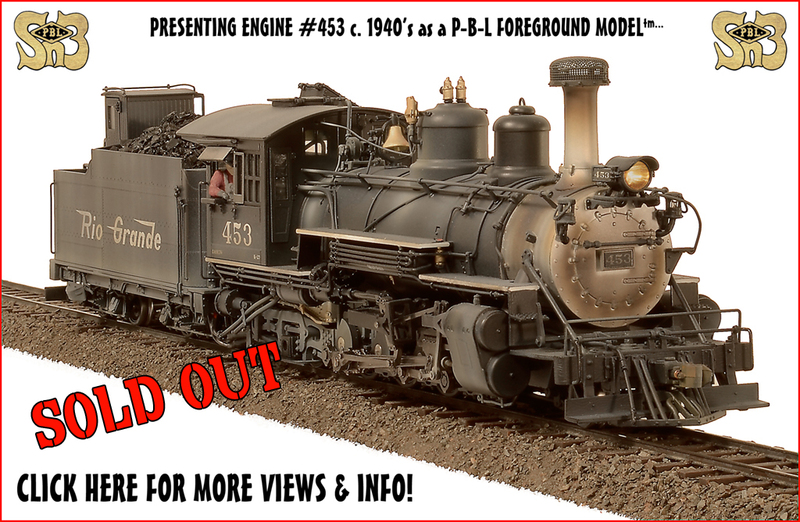 We're calling 'em our "recent accomplishments", Recent Models produced here at P-B-L... All in "Sn3", the Ideal Scale for serious indoor Narrow Gauge Railroading, of course. Click here to check 'em out! We're P-B-L... This the kind of stuff we do! will have been long ago SOLD OUT. CLICK ON THE PAGOSA COMBINE TO VIEW SOME OF THESE BEAUTIES! 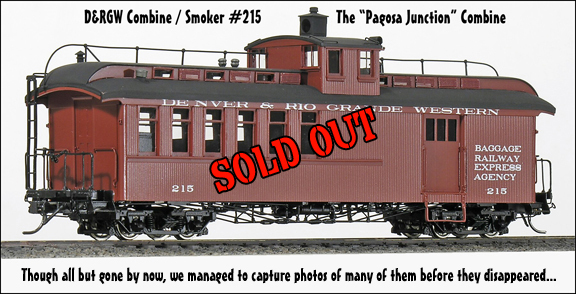 Combine number 215 pictured above was just one of OVER SIXTY CONFIGURATIONS of Passenger Cars we received from Boo-Rim late in 2009.